The Bionectriaceae are a family of fungi producing pallid ascomata that are generally superficial or immersed in their substratum (Rossman et al. 1999). Characters (from Rossman et al. 1999): Ascomata perithecial, rarely cleistothecal, white, yellow, orange to tan or brown, not changing colour in KOH or lactic acid, centrum of Nectria-type. [DP72] Deighton, F. C., & K. A. Pirozynski. 1972. 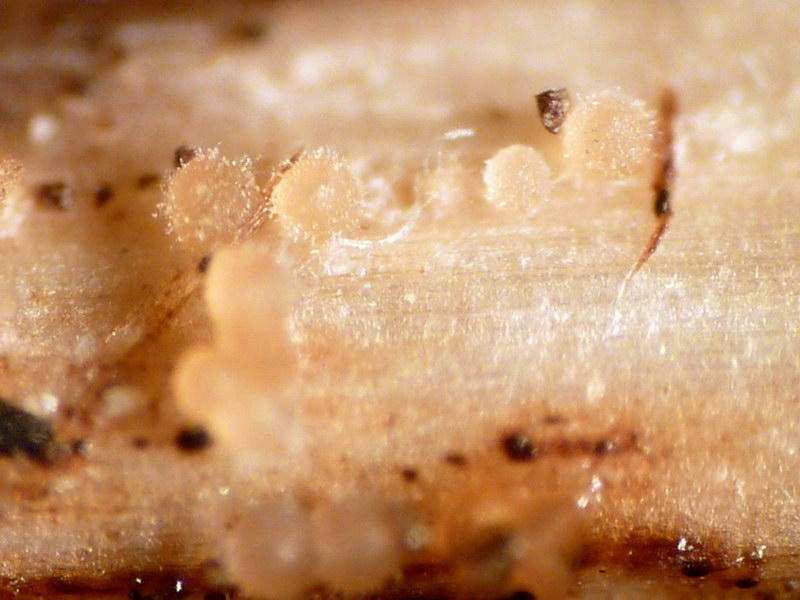 Microfungi. V. More hyperparasitic hyphomycetes. Mycological Papers 128: 1-110.